Optional steel 48 pitch, 34 tooth pinion gear. CNC machined lightweight 4140 steel gear, black in color. Reduces internal rotating mass and increases efficiency. Heavy duty 4mm set screw for brushless power. 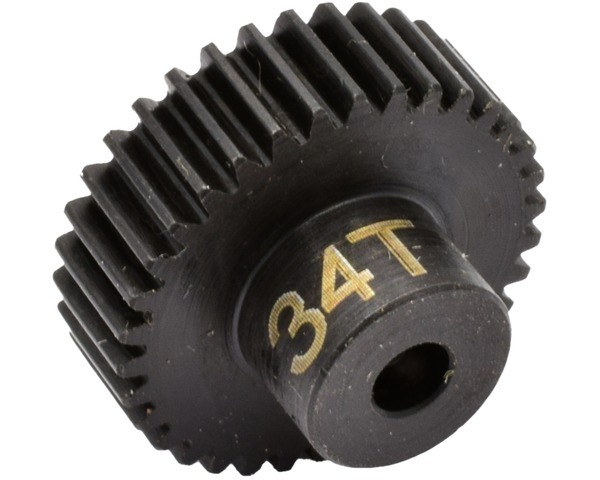 One 48 pitch, 34 tooth pinion gear with 4mm set screw.